In 2015, Telugu star Prabhas became the heartthrob of the nation when ‘Baahubali’opened to a thunderous response at the box office and received rave reviews along the way. In the epic-drama, he essayed a double role and gave strong proof of his abilities as a performer. Earlier this year, Prabhas mania gripped the nation once again when ‘Baahubali 2’ opened to an awesome response at the box office and redefined the very tenets of Indian cinema. Talking about his dedication, Rana Daggubati had told Pinkvilla South that the way in which he dedicated all his time to the ‘Baahubali’ saga was truly praiseworthy. With ‘Baahubali’ in the rearview mirror, Prabhas is currently shooting for his next big outing ‘Saaho’. The film is being directed by Sujeeth and will be an action-thriller. In it, T-town’s ‘Darling’ will be seen alongside Bollywood diva Shraddha Kapoor. And, needless to say, he is excited about working with her. 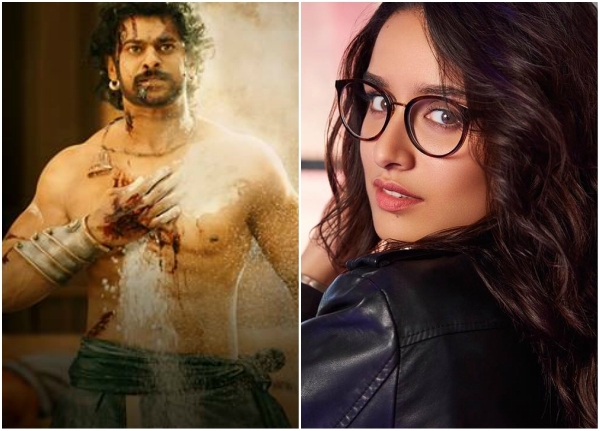 During a recent chat with a leading news agency, Prabhas spoke about Shraddha’s role in ‘Saaho’ and said that her character is an important part of the narrative. He went on to add that—contrary to perception—she does not have a fleeting appearance in ‘Saaho’. “I have never worked with a Bollywood actor before and she is the best choice for the role. We are very lucky to have her on board. Her character is not just like coming and going or just there for the songs. The character is very important and adds a lot of weight to the story. It is one of the most important characters in the film. She has some amazing action sequences also. It is a very strong character,” said Prabhas. He went onto praise the ‘Half Girlfriend’ star and said that she is a highly dedicated performer. “Shraddha is a very hard-working actor and she is very comfortable (on the sets). Most of the actresses I have worked with have started their career in South and then shifted to Bollywood. Shraddha is already a Bollywood star, but she is very dedicated,” added the superstar. Prabhas also confirmed that the team will soon be filming a few crucial action scenes. However, at the same time, he stressed that the dates have not been finalised yet. “The team has till now shot for almost 40-45 days. We will start shooting for the major action sequences soon. We are planning to release the film next year. But we will be able to finalise the exact date depending on the progress of the film,” added Prabhas. On a related note, besides Prabhas-Shraddha, ‘Saaho’ also features Bollywood’s Neil Nitin Mukesh in the lead. He will be playing a negative role in what is the first Telugu film of his career. Sometime ago, he had said that he will be playing a ‘mega villain’ in this one. If all goes as planned, ‘Saaho’ will hit screens in 2018. So, are you excited about the film? Is Shraddha the right choice for ‘Saaho”? Tell us in the space below. I am not a Shradha fan and i wouldn’t watch Saaho( because don’t want to support actresses like her)…However how can u people character assassinate a woman like that..As if you are the moral gaurdians of the society. Some comments in this section are really pathetic. Just because you are annonymous you can talk dirty about anybody.,,huh.. They are the perfect cast. Both of them are talented, kind and beautiful people. Saaho will be a súper hit. I have not seen any Prabhas movie but now I have become ver mexican fan only because of ver lovely behaviour towards my dejar Shraddhu. Best of luck! Greetings from México. Stop it Shraddha. You sound so crazy with your comments on yourself. Your career is over in Bollywood. Start looking for movie opportunities in south. I am another fan of hers … I agreed, some people have all energy in the world to write down something negative about other people without even knowing that person well . It is sad that celebrities even do not know them and keep on moving on with their life and career .. It is not sad if these so called celebrities do not know “them” The world doesn’t end there, maybe just for some crazy fans like u whose comments are over the top. Anonymous. it might have skipped his mind. And Ileana was first appeared in south. Then went to Bollywood. Exactly. Prabhas you have worked with Kangana Ranaut and she is the best in Bollywood no matter how messy her personal life has turned out. You cannot just ignore you have worked with her. Didn’t expect it from you. This!, coming from Prabhas himself. Good luck to team Saaho . Can’t wait !.